Whether it’s the proposed merger of CVS and Aetna or of T-Mobile and Sprint, it seems like every day brings fresh news of major companies merging with or acquiring their competitors and suppliers. One in five enterprise procurement officers say that expanding via acquisition is a strong priority for their organization, and no matter the industry, this process carries its complications. Mergers and acquisitions require an organization to adapt to multiple outside frameworks all at once, and cause concern among staff about corporate changes or redundancy. They can be very stressful for businesses, no matter the size, and are some of the most challenging business processes facing professionals today. But they can also be a useful tool to reduce competition within a region or gain a foothold into a new market. Ultimately, a merger or acquisition’s profitability can only be ensured through careful risk management. And contract compliance audits (CCAs) are one of the ways in which an organization can best reduce risk and promote ROI. From a procurement perspective, corporations may face many challenges during a merger or acquisition. Personnel may change both in the parent corporation and in the acquired company, making it difficult to determine who is responsible for which contract. The parent corporation may absorb new contracts that conflict with existing one, and any that do not conflict may still need to be renegotiated and changed to compensate for the expansion of the business. Altogether, this means that there are many opportunities for growth and positive returns, but an equally expanded potential for errors and non-compliance as well. This means that overbillings can occur, and potential savings may fall through the cracks. A contract compliance audit will bring these issues to the forefront by thoroughly examining all aspects of a contract to ensure that all terms and conditions are fully compliant while also eliminating any ambiguity that could negatively impact returns and third-party relationships. An organization’s objectives and performance metrics will control the company’s expectations and ultimately be used to gauge the company’s return on investment. Contract compliance audits can be used to identify issues that are occurring, and also to streamline the organization’s future contract-related operations, thereby effectively aiding in the merging of multiple companies and multiple departments. Contract compliance audits are most helpful during significant changes in personnel, when contracts are ending, when contracts are being renegotiated, and when long-term contracts need to be reviewed. All of these events occur during mergers and acquisitions. The goal of a contract compliance audit is two-fold: to ensure that the organization is receiving the services and products that it should be, and to ensure that the organization is not spending more on these services and products than it should. Both of these can improve ROI in a tumultuous time. Despite the challenges related to a merger or an acquisition, they still remain the preferred methods of expansion. When properly managed, expanding in this way gives your organization all the resources it needs to continue to grow—all while sidestepping the rough process of having to introduce yourself to a new market. 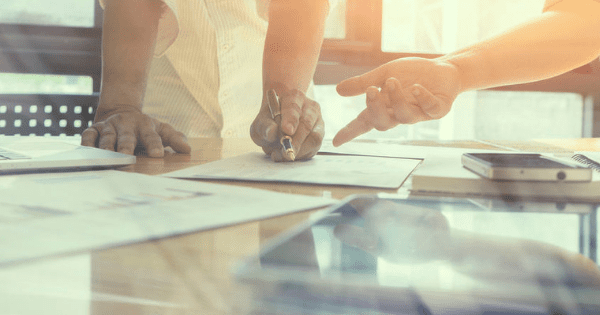 By engaging with a contract compliance auditor early on, you can make sure that your risks are properly managed from the start and reduce the chance for missing your procurement goals. A potentially transformational investment deserves all the protection you can give it. To learn more about how to develop greater transparency, accountability, and trust with key third-parties, click here for more insights from SC&H Group’s Contract Compliance Audit team.